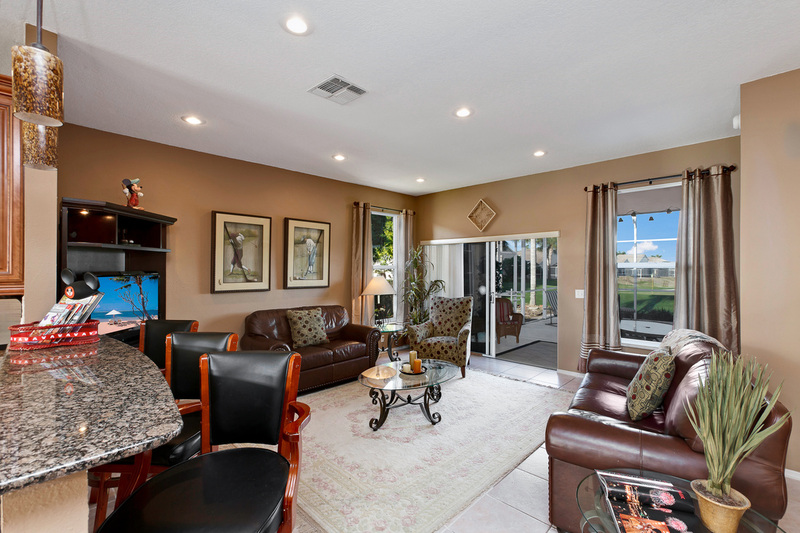 This Family Friendly home sits on a golf course and offers long views of a fairway. Enjoy breakfast on the lanai while hot air balloons cascade overhead and end your day with a beautiful view of a famous Florida sunset. This home has been completely renovated, professionally decorated and offers upgraded appliances, granite countertops, leather furniture, flat screen TVs in every room, wireless internet, a heated pool and more. Best of all ... it's only 10 Minutes from Disney!! !